1 // a new floral crown. pieced this lady together in under ten minutes, right before bed. 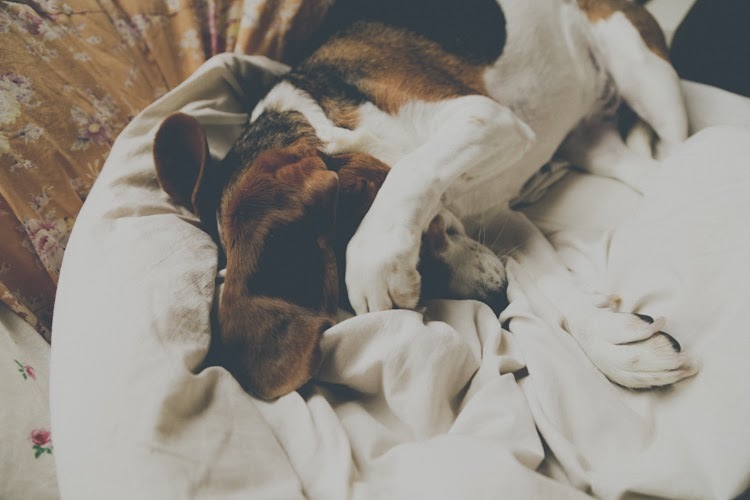 2 // how bernie beagle sleeps from time to time. 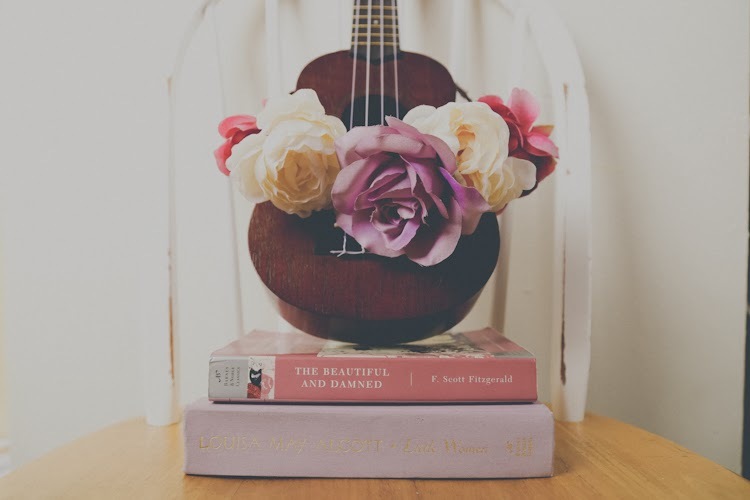 3 // in 2014, i resolve to make more music, write for longer stretches, take lovelier photos, and wear more floral crowns. 4 // a happy mess of a kitchen table. 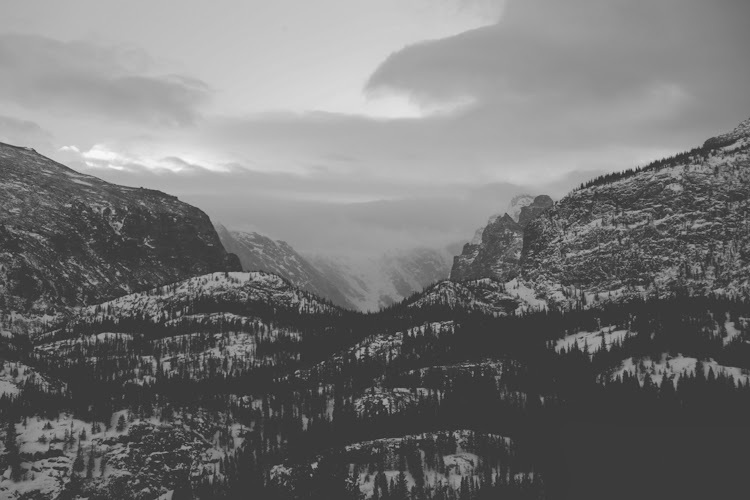 5 // while exploring rocky mountain national park with kinsey & her honey. 6 // bernie's planning her frida kahlo costume for next halloween. 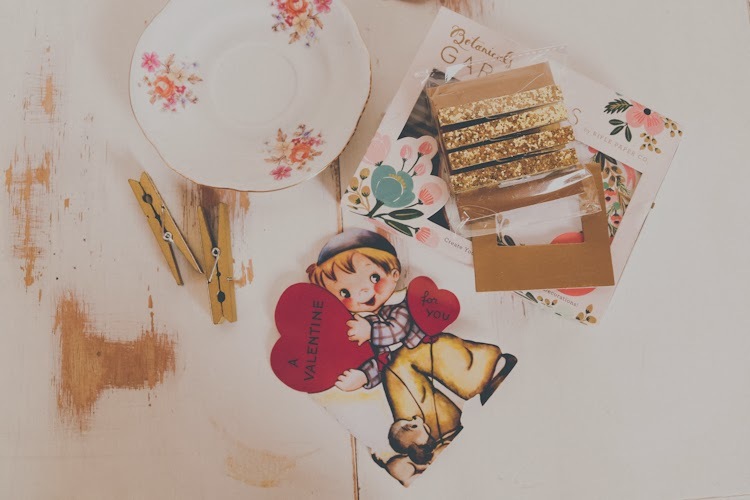 7 // i'd say it's about time to stick some valentines up on the wall. 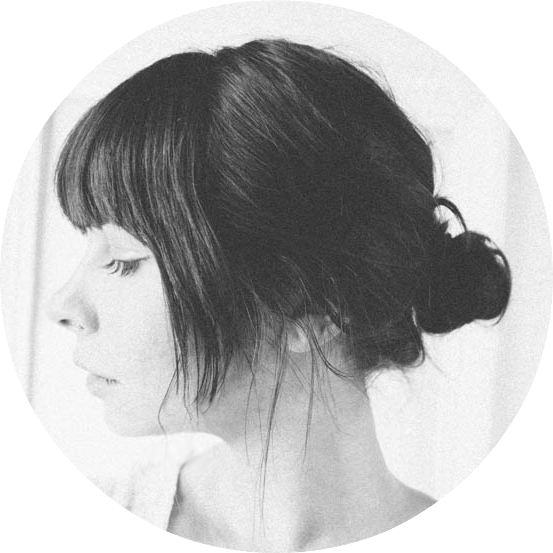 I just found your blog, and I love it! 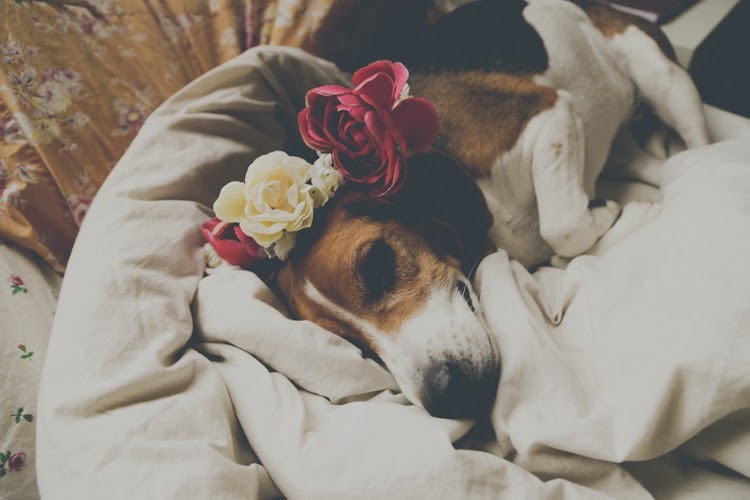 All your pictures are so beautiful and dreamy:) That flower crown is so lovely and looks perfect on the pup! I lve love love the dog pictures. That flower crown! Ah....that picture of Bernie in a flower crown. My heart has melted. 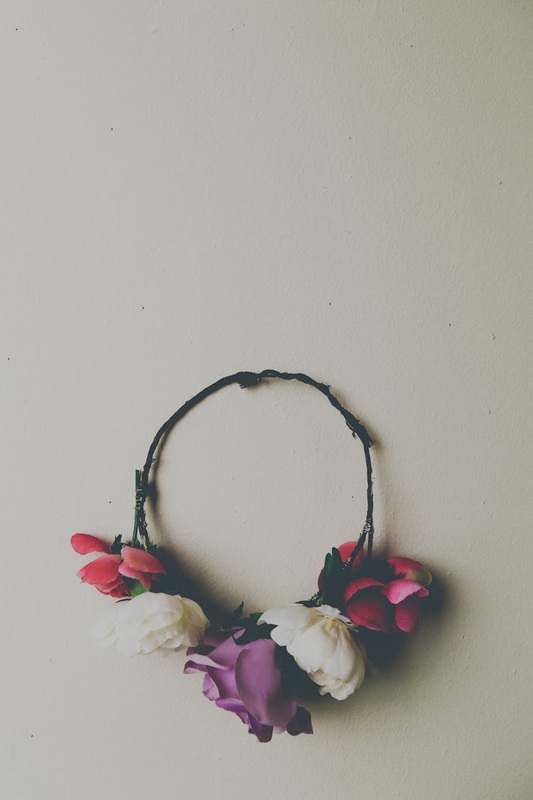 One of my goals this year is to learn to make a flower crown! I still have your tutorial bookmarked and I am going to put it to good use soon. Oh, and everything in that last photo is just the most adorable. I have been in love with everything pink, red and hearts lately. ohhhh those mountains are so dreamy! 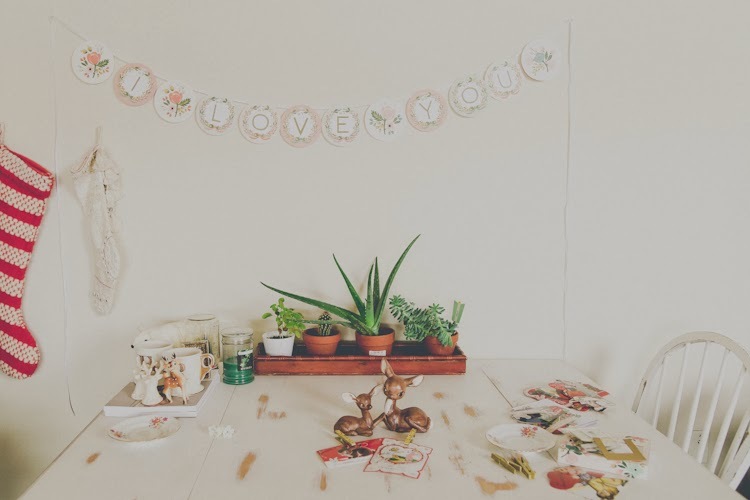 your kitchen table is just so lovely, i love the banner! i also love that you make music, i had no idea! that's so nice of you, elisa. : ) thanks!